In April 2015 AWS announced a new cloud service: Elastic File System — a Shared File Storage for Amazon EC2. Fast forward to June 28th 2016, more than a year later, and AWS announced that EFS is finally available and production-ready in 3 regions (us-east-1, us-west-2 and eu-west-1). A day later, Convox’s David Dollar opened a pull request integrating EFS into Convox Rack, the open-source cloud management platform built on top of AWS. We’ll see that EFS is quite easy to get up and running, and that it works as advertised. A Postgres data directory is synchronized to every instance in the cluster. This unlocks a much needed challenge with containers. We can now run, kill and reschedule a Postgres container anywhere in the cluster and resume serving the persistent data. We’ll also see that while possible, Postgres on EFS probably isn’t something we need or want to use outside of development or testing, but this experiment gives us confidence to add EFS to our infrastructure toolbox. NFS dates back to 1984, but EFS implements version 4.1 which was proposed as a standard in 2010. 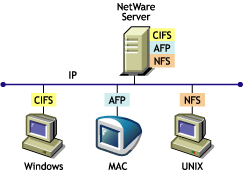 With NFS, every computer uses an NFS client to connect to an NFS server, and synchronize file metadata and data over the network. The goal is to synchronize low level file modifications— locks and writes — across servers so that all clients have an eventually consistent filesystem to read from. The NFS client/server protocol is designed to handle tough failures around network communication and mandatory and advisory file locking. Version 4.1 made big improvements around using multiple servers to separate the metadata paths from the data paths. See these primers on NFS 4.0 and NFS 4.1 for more details. Because NFS looks like a standard filesystem it is trivial to use an EFS volume with Docker containers. EFS is free to provision and offers 5 GB of storage for free in the AWS free tier. Usage beyond that costs $0.30 per GB per month. See the launch announcement for more details. An EFS volume is relatively easy to provision with CloudFormation and to mount into an EC2 instance with UserData. Here I am demonstrating the simple, open-source Convox project and tools to write set up a new environment (or to update an existing environment) to use EFS and inspect the resulting instances and containers. See this pull request for the specifics of the CloudFormation and UserData changes. As long as we install Convox into one of the 3 regions where EFS is supported, Convox instances now automatically have EFS mounted in /volumes. Sure enough we have a filesystem shared between three instances! Let’s run a database on this filesystem. Convox takes an application with a Dockerfile and docker-compose.yml file and automates building images and pushing them to the EC2 Container Registry (ECR) and deploying the images to AWS via the EC2 Container Service (ECS). database/4c6cde98595c The files belonging to this database system will be owned by user "postgres". database/4c6cde98595c This user must also own the server process. database/4c6cde98595c The database cluster will be initialized with locale "en_US.utf8". database/4c6cde98595c The default database encoding has accordingly been set to "UTF8". database/4c6cde98595c The default text search configuration will be set to "english". database/4c6cde98595c Data page checksums are disabled. database/4c6cde98595c No usable system locales were found. database/4c6cde98595c Use the option "--debug" to see details. database/4c6cde98595c --auth-local and --auth-host, the next time you run initdb. Postgres boots up though this looks just like how it worked before with ephemeral Docker volumes. But… Pick a different instance and look again at the shared filesystem. It also sees the Postgres data directory! The old container stopped and the new container started on a different instance and it sees and recovers the data! All of this is working with a couple of hours of integrating EFS into an existing AWS / CloudFormation / VPC / ECS setup. Thanks Convox!. Always Bet On AWS — A new standard has been set in cloud storage. Not only does EFS work, it promises all the things we want from the cloud. It’s cheap at $0.30/GB-month, you don’t provision storage up front, you pay for what you use, and it scales to petabytes. No doubt there will be questions about the NFS protocol and horror stories of the dark days of EBS that cast a shadow over EFS. But you’d be silly to think AWS won’t operate this with the extremely high quality-of-service that is the reason they are taking over all of the world’s computing. They will keep the system running, recover as fast as possible when it does have problems, and will answer support tickets when it’s not working as advertised. Amazon continues the trend of turning cloud computing into utility services that get better and cheaper over time all while taking on massive infrastructure complexity so we don’t have to. Shared state and file persistence is back! Integration Over Invention — The 12 Factor tenet came from avoiding the hard problems of stateful containers. I have been working on container runtimes for more than 6 years between Heroku and Convox and have explicitly avoided putting engineering resources towards this problem until now. We have been tempted with solutions like S3FS, GlusterFS, or Flocker. We have built contraptions around EBS volumes, snapshots and rsync. But these systems always bring on a lot of additional complexity which means more operational risk and more engineering time. Tremendous engineering has gone into these systems and people have been extremely successful with the various solutions. But most of us have correctly put our own energy into architecting our applications to not need to solve tough problems with state, delegating everything to a Postgres service and S3. Finally the tides have turned. We can integrate a service with a few lines of CloudFormation and build around shared state vs. invent, install, debug and maintain complex distributed systems software. Specialized Utility Services Still Win —Even if EFS works for a Postgres container an RDS Postgres database starts at $12/mo. This includes more assurances about catastrophic failure like Postgres data replication and backups that would be be risky to ignore when running on any storage service. So I still see no reason to take on the operational properties of a containerized data volume for a database outside of development or test purposes. Likewise S3 isn’t going anywhere. It’s hard to beat the simplicity and maturity of a simple blob storage service in our application architecture. Is EFS a new tool in your infrastructure toolbox? What new or old use cases does this open up for our apps in the cloud? What use cases will you still avoid using EFS for at all costs? What becomes easier, cheaper and and more reliable now that AWS has taken on this tough challenge for us?